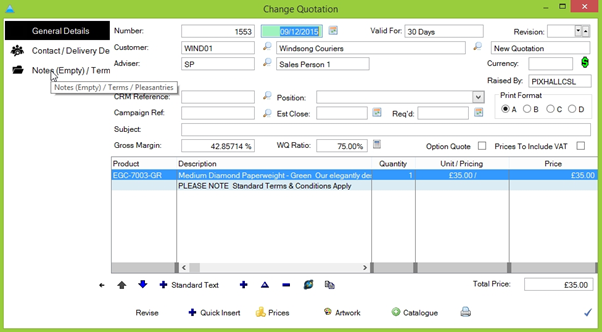 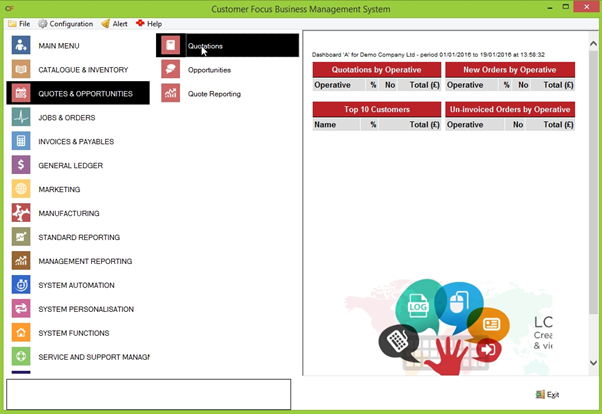 First navigate to the Quotations screen by clicking on ‘Quotes & Opportunities’ followed by ‘Quotations’ from the main menu. 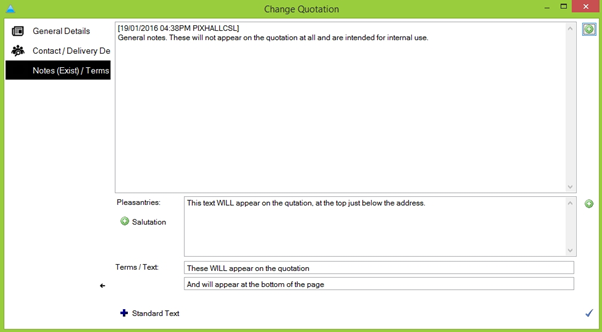 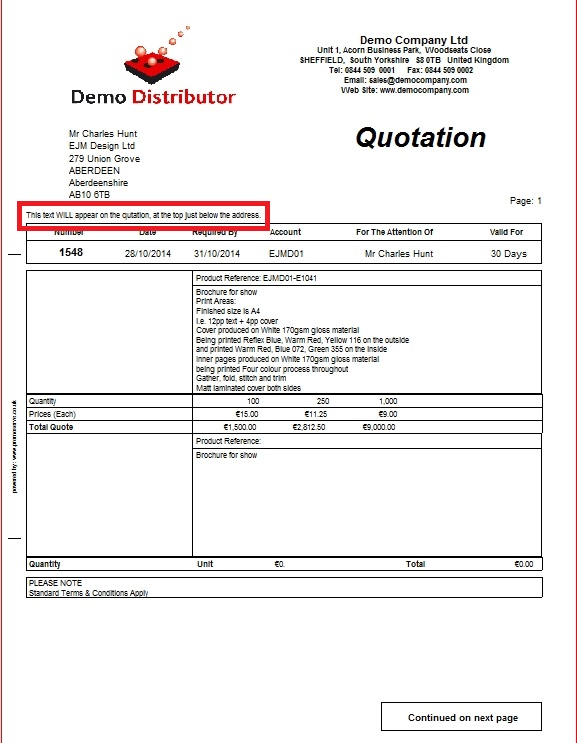 Highlight the quote you wish to add notes for and click the blue triangle in the bottom-right of the screen to open the ‘Change Quotation’ screen. 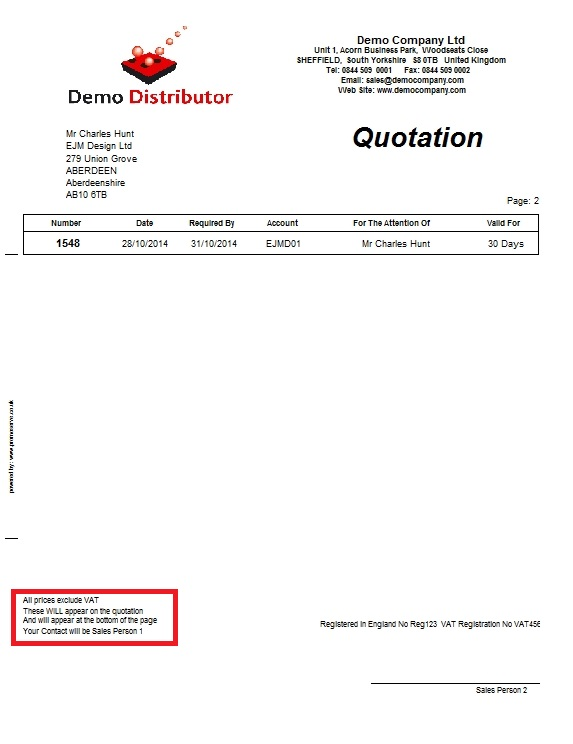 A sample quote has been provided, generated from the notes entered above, for comparison.